If you are looking out for a rejuvenating vacation in the lap of nature SaffronStays Rockside would be the perfect destination. 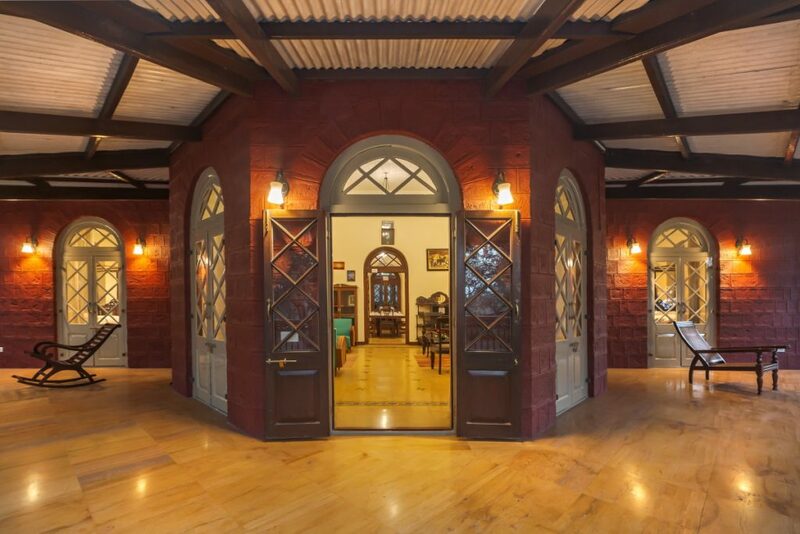 Tucked away in the bountiful natural beauty of Panchgani, the villa is just 2.5 hours from Mumbai. 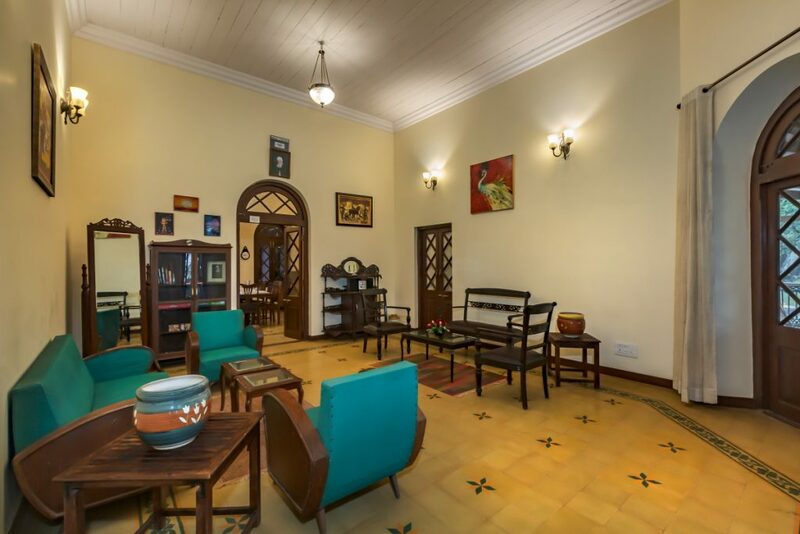 The Nawab of Wai built this royal abode in the 1940s; get ready to be charmed by the vintage vibes of this 2 bedroom heritage villa. Enjoy the pleasant atmosphere of Panchgani as our housekeeping staff pampers you with the best hospitality. The villa sports an earthy look with exteriors built with red-painted rocks. The white and green railing fencing the porch compliments the green shingled roof. The small flower plants greet you at the entrance steps. 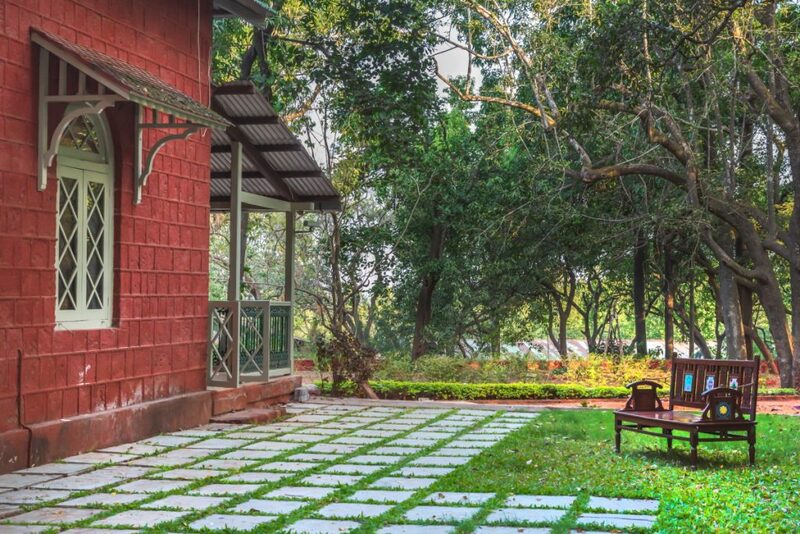 The immaculate lawn engulfing the villa is furnished by the outdoor wooden furniture. Enjoy the chilly weather by the warmth of the bonfires in the lush lawns. The delicately carved wooden furniture dominates the interiors. 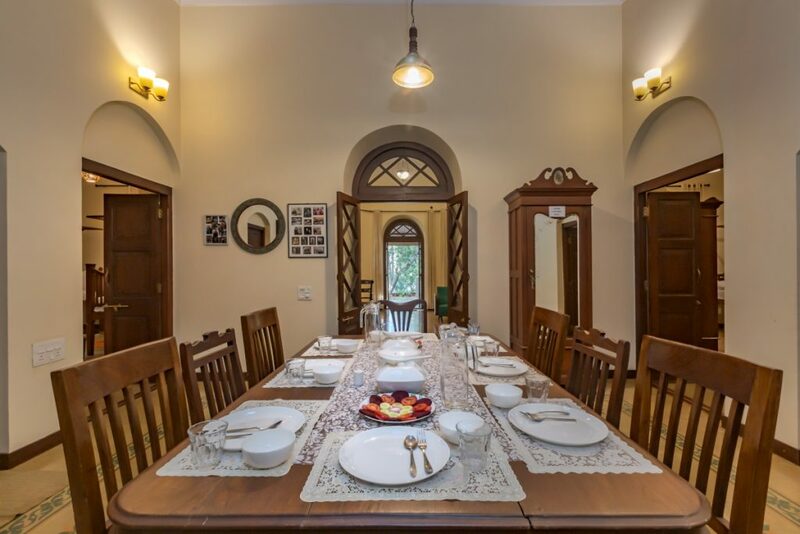 The villa exhibits a vintage look with beautiful paintings adorning the whitewashed walls. The massive wooden dining table, cupboards as well as the dressing table add a touch of class. The old school lamps lighting up the villa take you back to the 1940s. Although the decor of the villa is old fashion you can enjoy the comfort of the latest amenities at the villa. Relax in the balcony sipping on your hot coffee. Take your pets out for a walk in the lawns or sit around the bonfire on star-studded chilly nights. Experience pure wanderlust as you take a tour of the city. Panchgani is no less than a treat for nature lovers. Kaas Plateau in Panchgani is full of landscapes with lakes, flowers and butterflies all around. It is one of the UNESCO World Natural Heritage sites of India. Tableland plateau in Panchgani ranks second on the list of the largest plateaus in Asia! Visit Kate’s point which is just 15 mins from Panchgani. You may also want to visit Mahabaleshwar which is quite close to the city.